In recent weeks, another mainstay was added to the motley collection of Sharples presences: a group of architects eager to ask questions about the proposed Sharples renovation project. The project, approved in May of 2018, will utilize a 2013 $7 million gift (now totalling $9 million) to transform the aging and crowded facility, built in the 1960s to accommodate around 900 students, into a revitalized dining hall and student space. Embarking on this endeavour, the college hired integrated architecture engineering and design firm “DLR Group.” One of the early steps in the process of developing a plan for the renovation was to gather student input. Representatives of the group spent their Sharples stay running surveys to gather data from students about their experience with the current dining situation and what they would like to see in a redesigned Sharples. of a project from a 360-degree viewpoint,” said Stuart Rothenberger, Principal and Global Higher Education Leader at DLR Group. To gain the necessary data to achieve this goal, the firm chose to interview students. Rothenberger stressed that in formulating questions, the firm was careful not ask leading questions. Instead, they sought to ask questions that would elicit meaningful conversations about diversity, social justice, sustainability, community, and food. Students were involved in this process at multiple junctures throughout. Many of the surveys were administered by paid student helpers, an auxiliary force that Rothenberger partly credits with helping the firm reach its goal of collecting data from 500 students. Taylor Morgan ’19 was one of the students hired to administer surveys in Sharples. Morgan did have some criticisms of the process. Morgan also felt that the discussion should have focused more on accessibility. Morgan noted that there was a brief opportunity for the student administrators to give the firm feedback on the survey. “[It was] five minutes to say if there are any questions we think they should add,” she said. Morgan suggested to include a question asking what division the student’s major is in, which was included in the revised version of the survey. Even being able to put forth a suggestion that was taken into account, Morgan still felt bothered by the focus on business rather than community at universities. “A larger issue [is] that universities are becoming more corporatized, functioning more as a business, bringing in outside corporations determining the look of the school and the revenue being generated rather than the community determining it,” Morgan said. The architects also held several meetings with various student groups, including an “Open Forum for Student Leaders,” and a dinner with Green Advisors and President’s Sustainability Research Fellows. 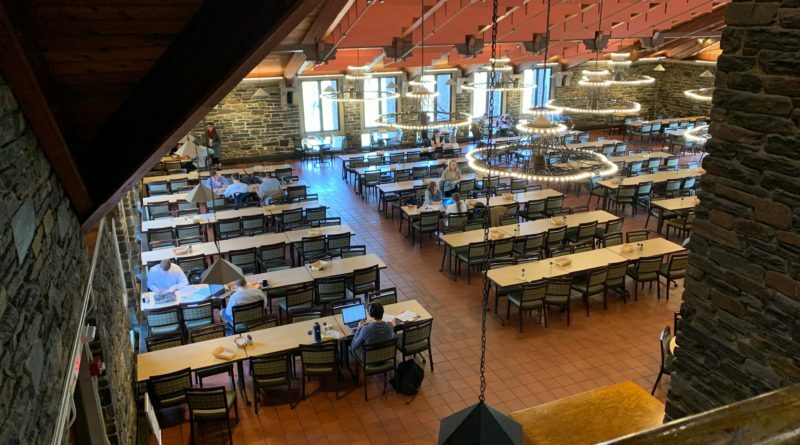 “The goal [of the dinner] was to try to get opinions on what matters to our specific groups in terms of what we’re looking for in a new dining hall,” said coordinator of Green Advisors Oswaldo Morales Solorzano ’21. 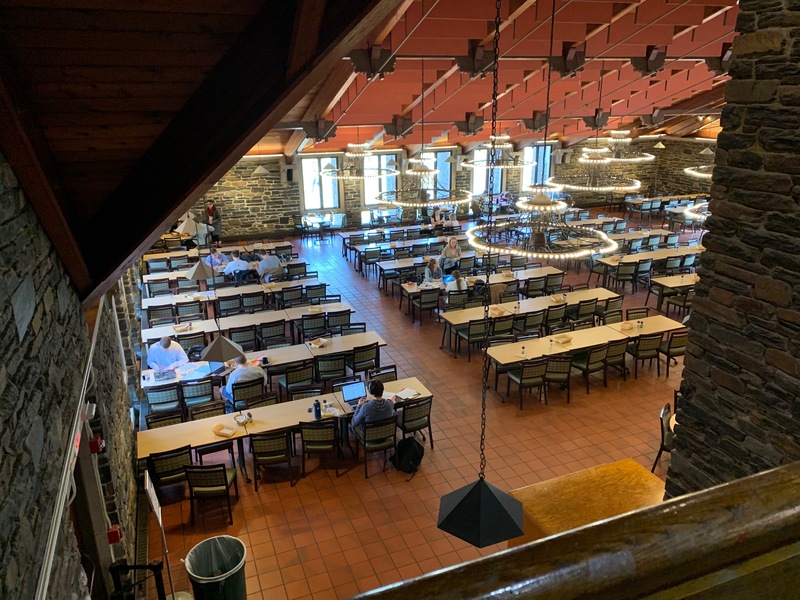 “Basically they gave us an outline that had different sections for how the new dining hall would interact with the community, nature, and campus, and they had points they deemed important and we had to put a marker on points we also thought were important,” Morales Solorzano said. Morales Solorzano felt that the process was not as collaborative or interactive as it should have been. “Some of the points were natural foods, no GMOs, other points were community involvement and environmental awareness, and it seemed like they were making us pick between them which were most important, as if they couldn’t all be important,” Morales Solorzano said. Morales does not oppose the plan itself, but was just left with a feeling of dissatisfaction after the meeting. Though Morales was not completely content with the meeting, he still believes that the project might ultimately go well.